Frame It All - simple modular Sandboxes. The sandbox that grows with you. The Frame It All two" series 4ft. X 4ft. X 11in. 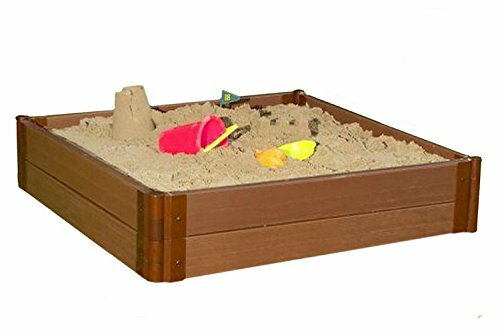 Composite square sandbox kit provides the building blocks of childhood imagination & Discovery. Simple to construct (no special tools required), & easy to maintain. Bold 2in. Profile timbers create more perceived value for your landscaping investment. When your child outgrows the sandbox, sustain your memories by repurposing the sandbox as a raised garden bed, landscape edging, or integrate with other two" series Frame It All components.